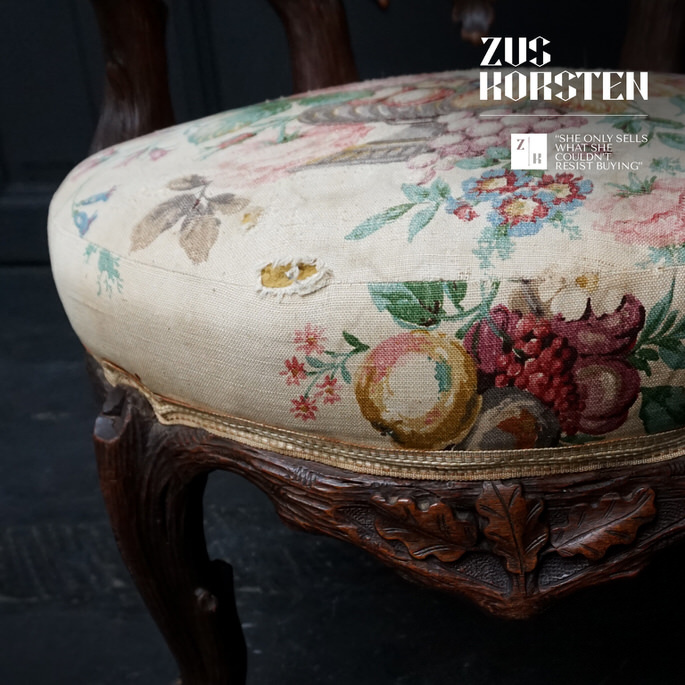 Walnut Black Forest chair with back, armrests and seat upholstery in original flower and fruit fabric. 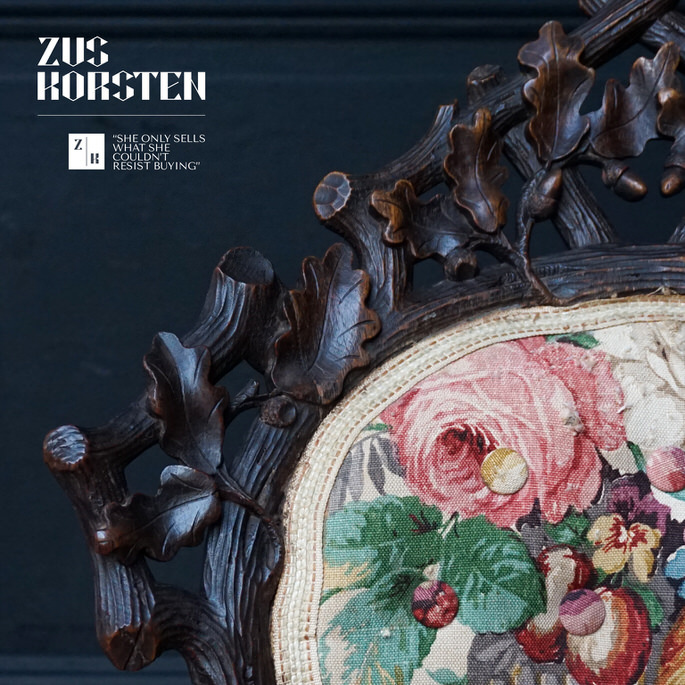 The chair is carved in a branch and vine effect which includes various acorns and leaves. This cute little boudoir or side chair is in good sturdy condition and ready to use. 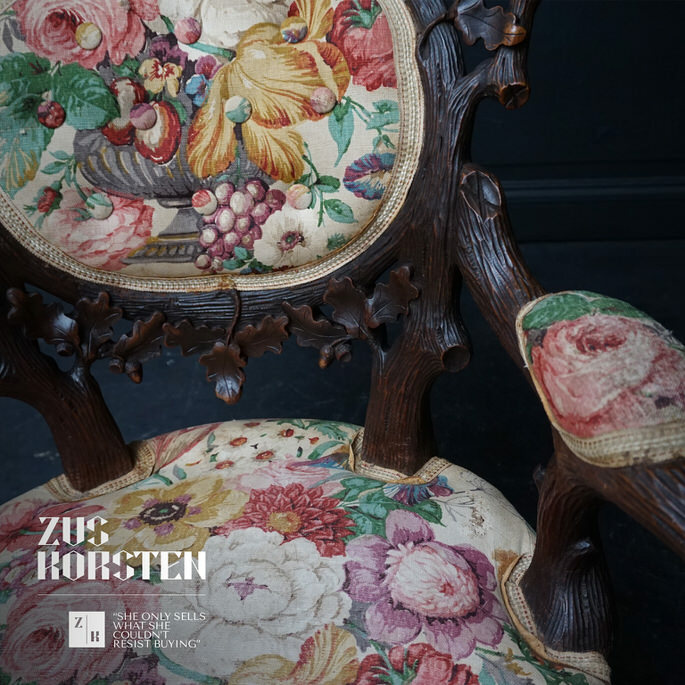 The original upholstery has some light stains and little tears and could of course be re-upholstered, but I really like the flowery tulip, rose, plum, grapes, peony, dahlia fabric. 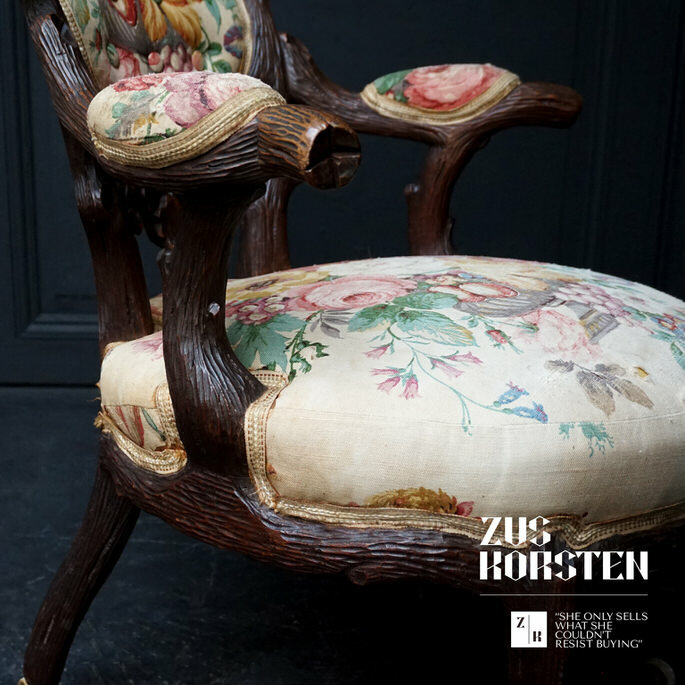 I think the used look of the fabric completes the 'romantic' antique Schwarzwald ambiance of this beautiful chair.